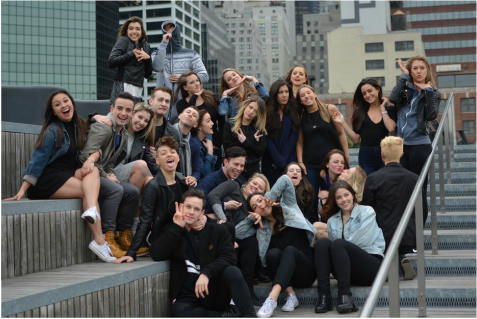 The Bachelor of Fine Arts (BFA) in Commercial Dance in the Pace School of Performing Arts is the only one of its kind in New York City offering comprehensive dance training that bridges the gap between classical dance technique and the professional world of commercial dance. The Commercial Dance major blends the highest quality of dance and theater training preparing students for diverse careers on stage, television, film, and the entertainment industry. Commercial Dance students train with leading professionals in ballet, jazz, modern, theater dance, tap, contemporary, hip hop, and aerial work as well as in acting, singing, and technical theater.